“Manny-petty” was the word (or was it a phrase?) that the woman yelled out to me from the back of the crowded room after I walked into the nail salon. I thought she was speaking another language and for some reason assumed I was fluent in it, too. “What,” I shouted back, not understanding what she was talking about? “Manny-petty?” she repeated in her singsong manner. I finally got it; she was saying: mani-pedi, salon-speak for manicure-pedicure. She had boiled our pending transaction down to its essence. “No, just mani,” I responded, getting into the trendy shorthand; I’m a fast learner. Each job, profession, avocation, hobby, etc. has its own jargon. One must learn it to survive and thrive there. 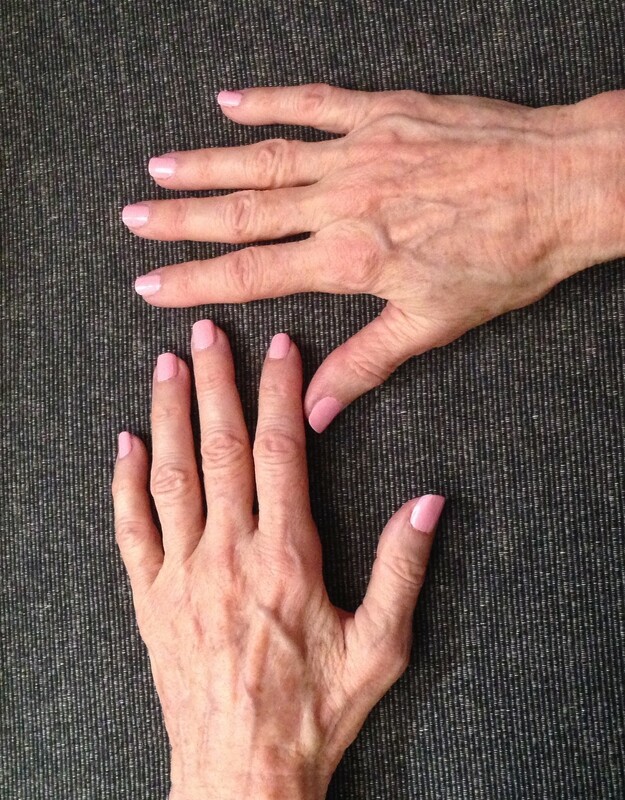 I had been booked for a hand modeling job for jewelry (yes, even aging hands are sometimes needed for such gigs.) 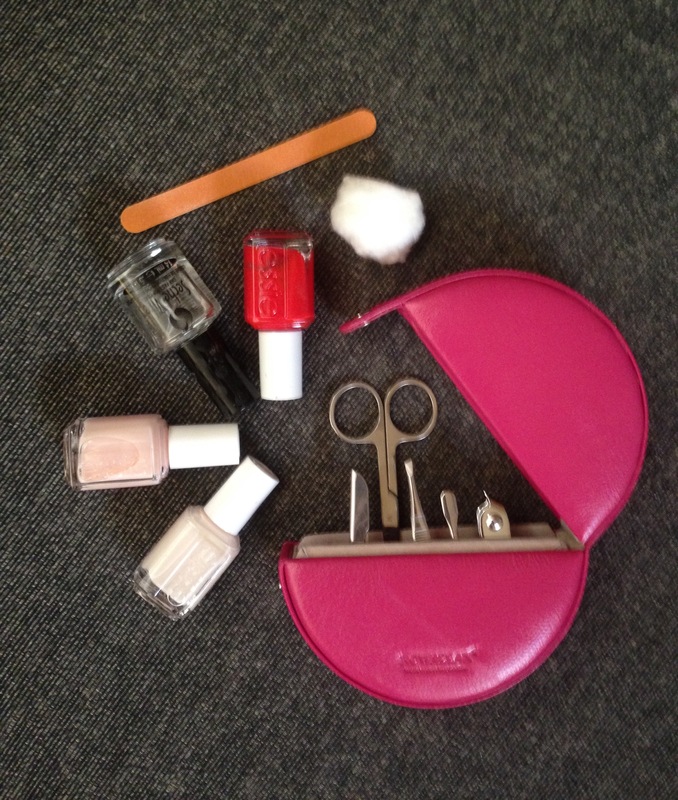 I had only had a professional manicure a few times in my life, the last being at least two decades ago. I didn’t even know where to go and had to call friends for referrals. I’ve always manicured my own nails, never liking other people fussing with my body for cosmetic purposes (I’m not crazy about doctors or dentists either, but that’s a whole other blog.) I don’t do well with massages, and even encounters with shoe salesmen are iffy. Somehow, I feel that by being the one serviced, I’m being placed in a position of privilege being attended by underlings and putting the one delivering the service in a subservient position. I even cut and style my own hair–natural curls are very forgiving to answer your question. A glance around the salon revealed a lot of clients with one hand on a small table being worked on by a manicurist while in too many cases the other hand held a cell phone jammed against its respective ear. Several of these princesses also had their feet on small stools with cotton crammed between their toes to hold them apart while another worker took care of the pedi part. Help! Let me out of here. This is not my world. My inquirer and all of her fellow manicurists were Asian, and I remembered reading that the industry has become dominated by immigrant Vietnamese women, at least in Los Angeles. With limited English skills and a need to support themselves and their families, they have found a niche. With niches comes jargon. In this case, their opening line is: mani-pedi, thereby avoiding a long, taxing discussion in English which might be a challenge. I soon overcame my aversion to the experience as I watched the manicurists working efficiently while laughing and chatting with each other in their native tongue. I don’t know if they felt demeaned being in a position of cosmetically servicing the digits of others. However, while I was there, they seemed calm, pleasant, dedicated to their task, and proud of their work. Can we learn to be like that, even when we are tasked with work duties we don’t like or that others consider undesirable or demeaning? Yes, we can. Use jargon to help you do it. A stewardess has become a flight attendant, no longer an airborne, female server of food, drinks, and pillows, but now a position for both genders and a part of an integrated flight team. Garbage collectors have become sanitary engineers–same job, different mindset. Try a change of jargon to elevate and enhance yourself. What a wonderful word: meandering. It evokes thoughts such as: lazy times, no pressure, free flowing. I was on vacation last month at a dude ranch in Wyoming. I shot this photo atop my black steed, Prince, a gentle giant who had been matched to my riding ability. 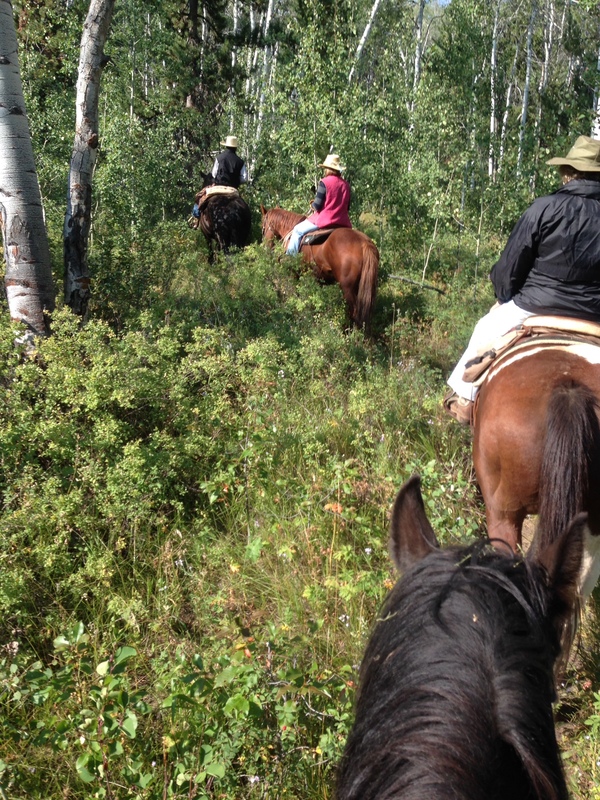 As our little group headed by our guide was meandering through an Aspen grove, we had the Grand Tetons as our backdrop. That package really pulled my attention away from the usual stuff crowding my brain. We all need to meander occasionally, some more, some less. We use other terms to describe it: down time, chilling out, having your own space, etc. You don’t have to travel to another country, to another state, or even to another city to meander. You don’t even have to do it on horseback. You can meander anywhere, even at home, and in many different ways. Meandering can happen while reading a good book, making a new recipe, strolling through a store, anything that diverts the mind from the usual stuff. Sometimes, when I am overwhelmed by the demands of life, I take what I like to call a “mental vacation.” I cancel my appointments, put on hold any serious decision making, and clear my life of everything that causes pressure. Just a day or two usually does it for me. Even a few hours of mental meandering can be significant. Conversely, too much unstructured behavior can be destructive. We can find ourselves drifting, without purpose, unstimulated. We must seek that balance so we don’t work ourselves to misery, but we also don’t lead purposeless lives. It takes discipline to put aside everything jockeying for your attention and get into meandering mode, but it’s worth it. Find stimulating, meaningful, fulfilling work and activities with just enough meandering time to regenerate.